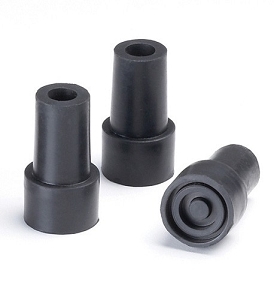 Combi Tip ferrules made of high impact resistant plastic with galvanized plated steel center screw. These can be fit on the bottom of most wooden walking canes or hiking staffs for sure grip on ice and snow. 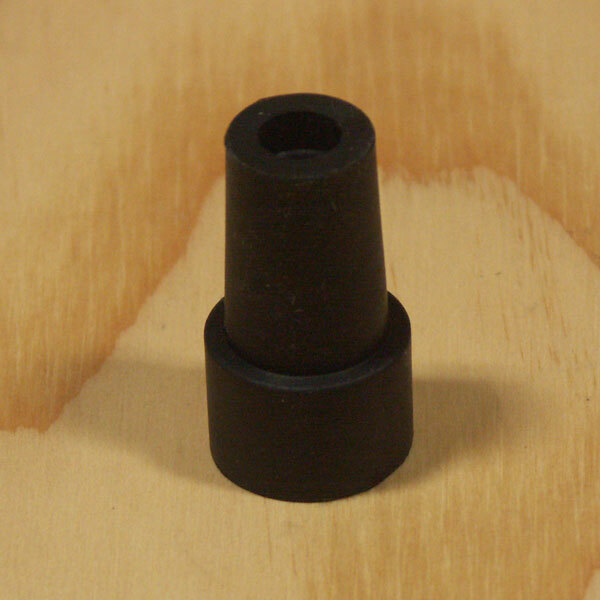 Installation is required for this item, cane bottom must be sized to accommodate tapered ferrule. Available in five sizes. 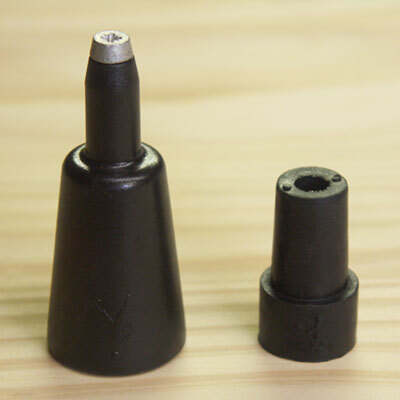 Comes with rubber tip to cover spike for use on pavement or flooring. Not sure what size you need? Example: A 28mm Combi Tip is 28mm on the inside of the tip and tapers down so if your stick measures 28mm at the tip end then get the next size down so the tip is not wider then the stick and will looks better.